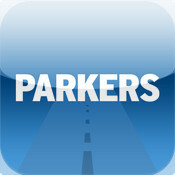 Since I started my full-time motoring writing career at Parkers, various friends and family members have asked me to share articles I’ve written. Well, the wait is over with a specific post that I’ll keep regularly updated with road tests, first drives and other features I’ve written. They’re posted in reverse chronological order too, so if you plan to dip in regularly, the newer posts will always be near the top. A comprehensive, probing and engaging collection of news and reviews Keith. I enjoy reading the copy and was particularly intrigued by your thoughts on Fiat’s additions to the 500 family. It’s a great idea for them to fit ‘Flexible Frequency Suspension’ to the 500L MPW with seven seats. Provides re-assurance to those concerned that dynamics would suffer when the 500 body grew.